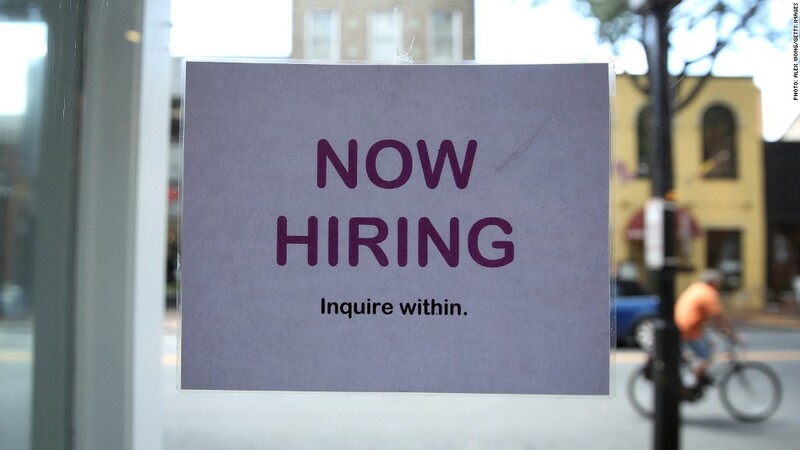 Hiring continued at a modest pace last month, a report on private sector jobs showed Thursday. Businesses added 176,000 jobs in August, according to payroll processing firm ADP (ADP). That's down slightly from 198,000 jobs added in July, but roughly in line with average job creation over the last year. "It is steady as she goes in the job market," said Mark Zandi, chief economist of Moody's Analytics, in a statement. Moody's Analytics helps compile the ADP report. The number was also close to expectations. Economists surveyed by Briefing.com had forecast a gain of 180,000 jobs. Who created the most jobs: Medium-sized businesses added 74,000 jobs, while small businesses with fewer than 50 employees added 71,000 jobs, and large businesses with at least 500 employees added 32,000 workers to their payrolls in August. As usual, most of the jobs were in services. The construction sector added 4,000 jobs and the manufacturing sector added 5,000 jobs. Trade, transportation and utility companies were a bright spot, adding 40,000 jobs. The ADP report is seen as a key indicator ahead of the government's monthly jobs report due Friday. A CNNMoney survey of economists predicts that report will show employers added 185,000 jobs and the unemployment rate fell to 7.3% in August. A separate report on unemployment benefits was also released by the Labor Department Thursday morning. That report shows 323,000 people filed for their first week of unemployment benefits last week, a decline of 9,000 from the prior week. Overall, initial claims are hovering near their lowest level since early 2008, an encouraging sign that although hiring remains slow, layoffs are back to normal levels.